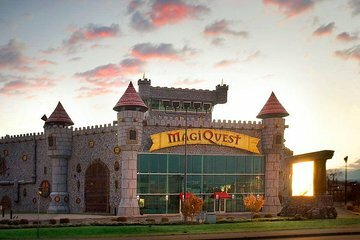 Book in advance to skip long lines at Magiquest for a day of family fun and roleplaying adventures. Your admission ticket gives you access to 4 separate attractions: A 60-minute interactive roleplaying experience, laser tag, mini golf, and the world’s largest mirror maze. The park is open 7 days a week to fit all schedules and itineraries. This was absolutely amazing! Worth the money and the time! Probably the coolest thing we did on our trip to the East Coast we are from Oregon and were all over the area...would definitely recommend!